Commonly known as “Ceausescu’s House” and popularly referred to by Romanians as “The House of the People”, this building housing today the Romania’s Parliament is considered a major tourist attraction in today’s Bucharest and indeed, visitors rarely miss the second largest administrative building in the world. Originally named “The House of the Republic”, it was conceived by the communist leader Nicolae Ceausescu as the seat -and the symbol- of his political power. Together with the Boulevard “Victory of Socialism”, the building was going to be “a suggestive emblem of the greatness and dignity of the new destiny of the Capital, worthy of the Communist era”, as official propaganda claimed. No resources were spared, but little did Ceausescu know, during his frequent visits to the construction site, that he would not live to see it finished. The palace was often compared to a pyramid, and for good reason: the dimensions, the appearance and the intention, as well as human sacrifice it caused, recall the Pharaonic constructions. The interiors are truly breathtaking. Visitors are impressed by the size and the opulence of the rooms and halls -all marble, carved wood and crystals. The interiors were used in 2002 by the film director Costa Gavras as a setting for some scenes of the movie “Amen”, where they were intended to represent the Vatican. For many of Bucharest’s inhabitants the House of the People is not a building to love and be proud of. To make room for it Bucharest lost the old Uranus neighbourhood with sloping cobbled streets, low-rise houses and old churches, and the elegant architecture of the Izvor neighbourhood. Related to the subject is worth reading on this site “The Demolitions of the 1980s”. Thousands of families lost their houses and were dramatically forced to move, the trauma inflicted still being felt. The House of the People involved huge costs, both human and economic. Nearly 30,000 workers and all the specialists in the country were deployed at the House construction site, working on three-shifts program. While raising the extravagant and excessively decorated building, the communist regime imposed heavy privations on the population. Ceausescu’s House changed for ever the appearance of the city. The building overwhelms by its size, which is alien to the spirit of the city. 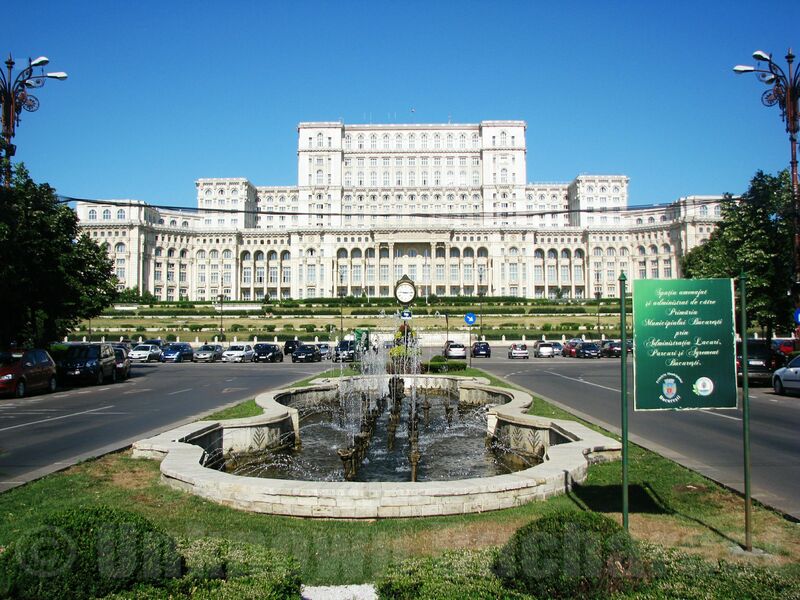 The House of the People will remain an ever lasting symbol of the dictatorship in the capital of Romania.